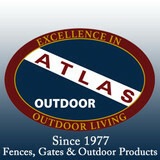 As a family-owned Connecticut fence company for over 35 years, Atlas Outdoor's ongoing goal is to begin each project with our dedication to deliver quality products and creative solutions for all of your fencing needs. We strive to combine the mastery of our craft with today's technology resulting in durable, high-end fencing solutions for residential, commercial and industrial businesses throughout Connecticut, New York and New Jersey. We continue to demand the highest quality materials from our suppliers to ensure our fencing products hold up to even the harshest New England weather. At Atlas Outdoor, we realize each job has a variety of specific needs and our experienced team responds promptly to questions and concerns throughout every project. It's our attention to detail that results in our many years of satisfied customers. 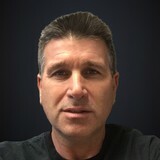 Our company was founded in 1977 by Phillip G. Picard as a small residential fence company offering high-end custom cedar fencing and outdoor living products. Our mission remains the same today as it did 38 years ago, providing superior customer service, high-end materials and craftsmanship along with professional installation throughout CT, NY and NJ. Initially located in Guilford, Connecticut, Atlas later moved to North Haven and in 1989 moved its manufacturing and main office headquarters to its current 7 acre Branford, CT facility with sales offices throughout Connecticut in Bridgeport, Cheshire, Darien, Danbury, East Berlin, Glastonbury, Greenwich, Hartford, Middletown, Milford, New Haven, Norwalk, Rocky Hill, Stamford, Shelton, Waterbury, Westport and Windsor. -Large Selection of Fence Styles and Material - Solid cellular, vinyl, wood, aluminum & wrought iron, chain link, split rail, privacy, picket, lattice, gates, arbors, pergolas and more. -Professional Installation & Custom Design Services - We install using the highest standards and craftsmanship for long-term reliability. -We sell and ship our products directly to homeowners & contractors. -Fence Accessories - Fence posts & caps, mailbox posts, lantern posts, hardware and more. -Commercial Fence Services - Ornamental steel and aluminum fencing, athletic field fencing, horse fencing, custom gates, guardrails, dumpster enclosures, temporary fences and more. 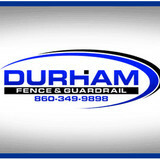 Established in 1980, Durham Fence Company has a 38 year proven track record for excellence. Whether you need a fence contractor to install a backyard fence to accent your outside oasis or you need to install a security fence to protect you commercial property we hold the solution. Customer service and attention to detail is what sets us apart from other companies. Call us today and one of our knowledgeable and dedicated team members will walk you through the entire process and help you turn your dreams into a reality. Since 1979, Arrow Fence has been providing their residential and commercial customers with only the highest quality fences including cedar, vinyl, aluminum, pvc & ornamental iron. Located in East Hampton, CT on Route 66, Arrow Fence stocks a complete inventory with many styles on display. Arrow Fence uses no sub-contractors, all work is done by our own skilled craftsmen. Starting from our shop in East Hampton where we custom build each cedar and PVC fence to the job site where the installations are completed by our trained professionals. All of the fences pictured on this website are Arrow Fence installations and they represent a small sampling of our large portfolio. Customer satisfaction has always been our #1 goal. From the sale of premium fence materials through the expert fence installation and project completion Arrow Fence remains dedicated to its mission. The vast number of loyal customers who continue to call upon us as well as refer others reflects our commitment to you, the customer. A great fence or exterior fixture can improve the look and value of any property. If you are looking for a Company who still cares, offers expert workmanship and reasonable pricing call Consiglio Fence & Construction, LLC today for a Consultation on any Residential/Commercial fencing and/or exterior construction needs. Choosing the right fence can be complicated. What are your reasons? Is it for privacy, security, or to just improve the look & value of your property? Do you like the look of vinyl, wood, ornamental aluminum, or a poly-coated chainlink fence? Whatever the reason, Walsh Fence LLC has the solution. We have a 3 year workmanship warranty on all fence projects, both residential and commercial. Our suppliers have been providing quality products with numerous design choices for over 40 years. A residential and commercial fence company installing quality fence at affordable prices without compromising quality . Have you ever imagined calling a company that’s reputable with no pushy salespeople , a owner that sees your project from sketches/blueprints to job completed with a company that goes above and beyond to get your project completed in a timely fashion ? Look no further then All American Fence Company . With over 80 years of experience in our back pocket, Orange Fence has established itself as a successful family-owned custom fencing company known across the U.S. Your Water Mill, NY fence installation and repair professional will work with you to create your ideal fence. 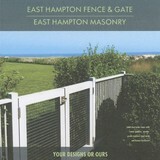 Find a fence contractor in Water Mill, NY on Houzz. 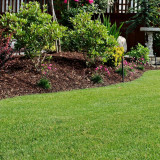 Narrow your search in the Professionals section of the website to Water Mill, NY fence contractors. You can also look through Water Mill, NY photos to find examples of fencing and gates that you like, then contact the professional who worked on them.